Well as you may know I was planning on using M6361 and this green cotton spandex to make view A. This pattern calls itself ” the 2 hour pants”. Well after 2 hours of grappling with my traced pattern pieces, I still hadn’t managed to make much headway. Maybe I’m awkward, maybe fitting pants pieces on yourself is an awkward thing to do. Who knows. All I know is that 2 hours later I still had no idea what adjustments I needed to make nor how to make them or frankly, even where to begin really. The green pants were looking unlikely to happen. It is the Plus Size Pattern Pyramid which I was very fortunate to win from the lovely Chris Lucas. So the green pants (Plan B) are a go. Has anyone else tried M6361? Was it just me? Should I give it another go? I haven't tried the McCalls pants. 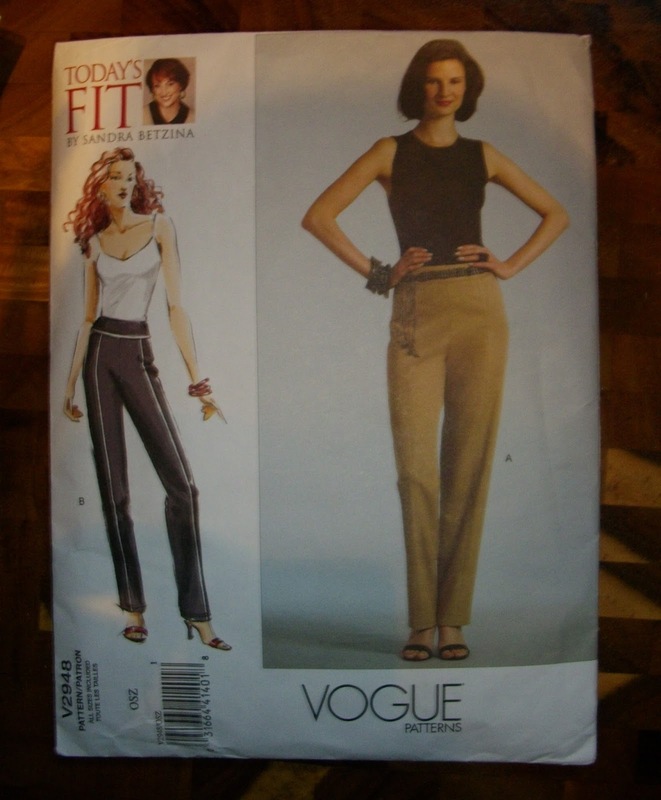 The Vogue ones came with a Craftsy course on pants fitting. They have a few design lines that will supposedly make alterations very easy. 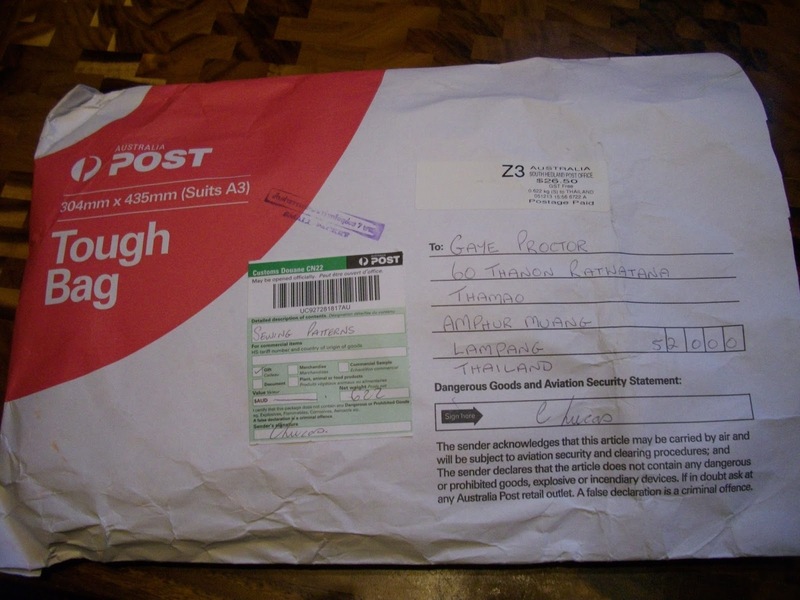 I hope so, I'm attempting them in January. 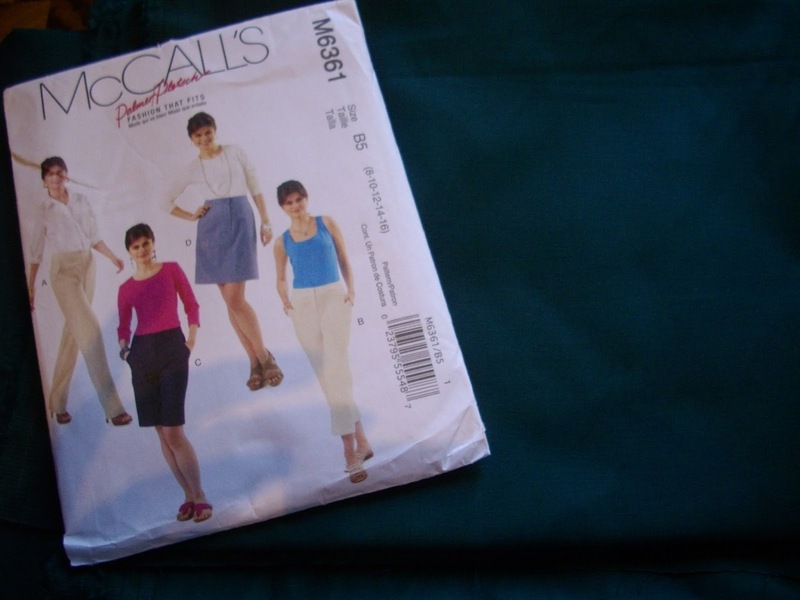 Hi Gaye, I haven't tried the McCalls pattern, although it is in my pattern hoard. Good luck with the Plan B pants.